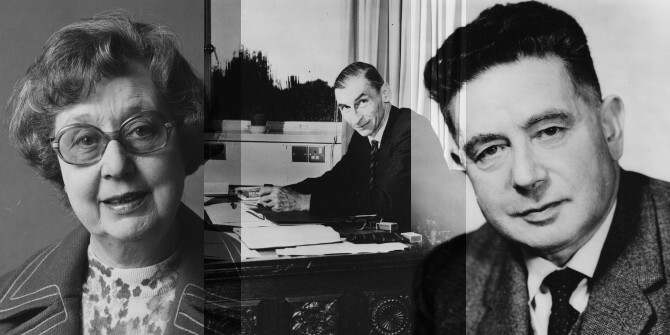 Find out about academic life at LSE through the years with this selection of blog posts about both influential and lesser-known academics and students from LSE’s past, and their lives on campus. 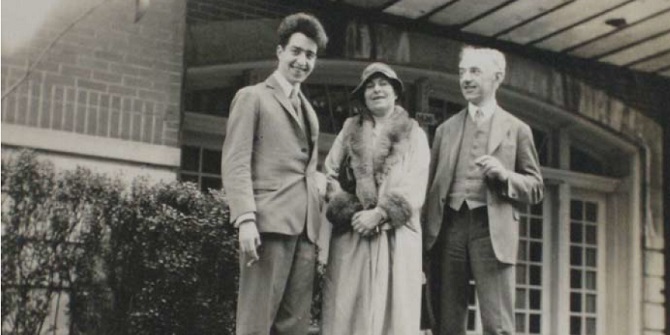 This is the first in the LSE Law Centenary series of blog posts celebrating a century since the formal beginnings of a Department of Law at LSE. 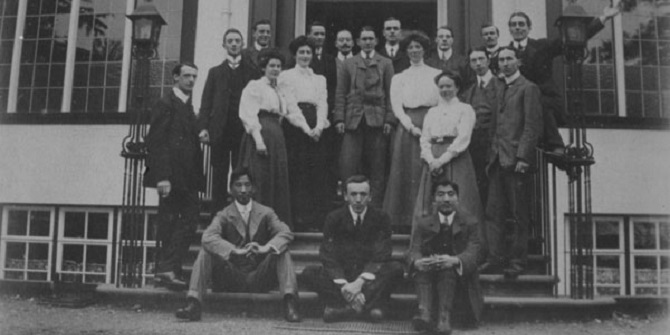 The Department of Law was created in 1919, formalising a tradition of teaching law at LSE since its earliest days. 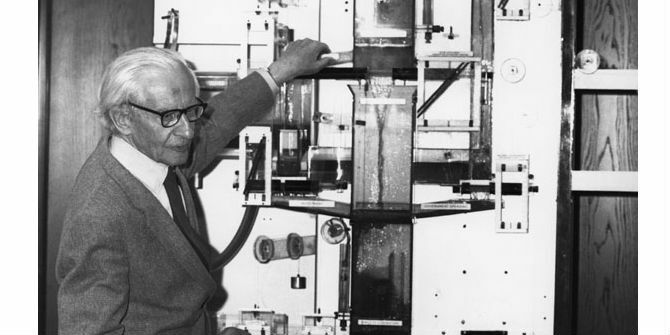 In the mid 1960s Social Psychology emerged from Sociology as an independent department – the precursor of today’s Department of Psychological and Behavioural Science. 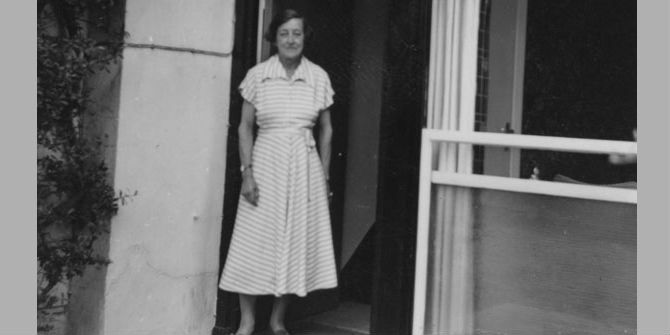 LSE Archivist, Sue Donnelly, looks at the career of Hilde Himmelweit who led the discipline through its formative years at LSE. LSE often runs in the family with several generations making their way to Houghton Street. 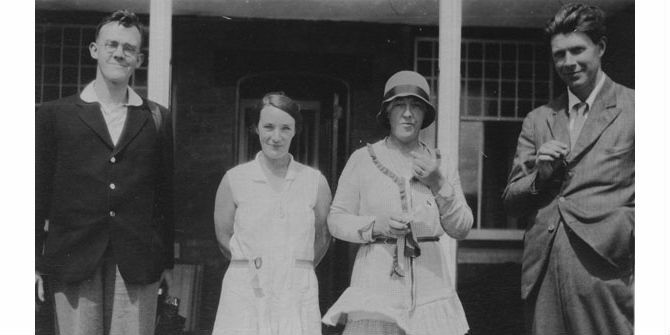 LSE Archivist Sue Donnelly writes about an unusual mother and daughter duo. 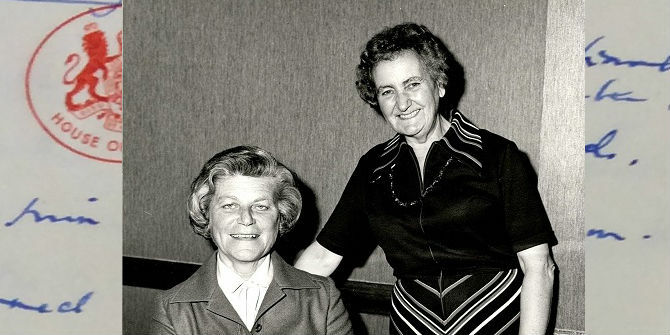 Jennie Stayner introduces pioneering female academic Lilian Knowles, first female professor of Economic History at LSE, and first female Dean of Faculty in the University of London. Intentionally or unintentionally, it seemed to be her lot to be breaking down barriers. In 1952 Kwame Nkrumah became Prime Minister of the Gold Coast and in 1957 the country gained its independence under the new name of Ghana. 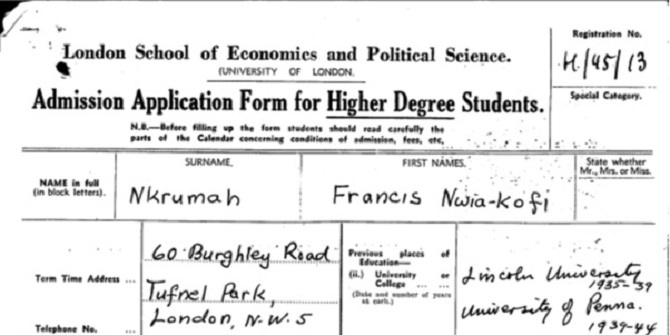 LSE Archivist, Sue Donnelly, writes about Nkrumah’s brief time at LSE. 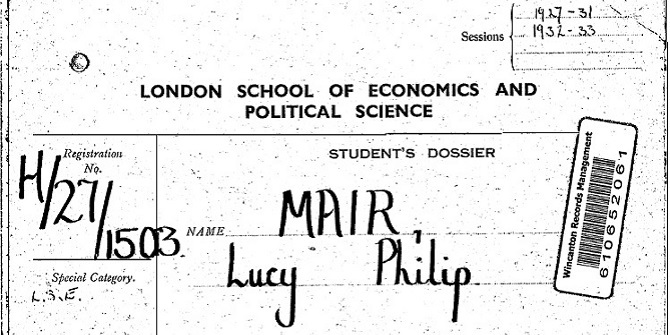 Lucy Philip Mair was a well-known anthropologist at LSE; she is far less known for her significant contributions to the history of the discipline of International Relations. 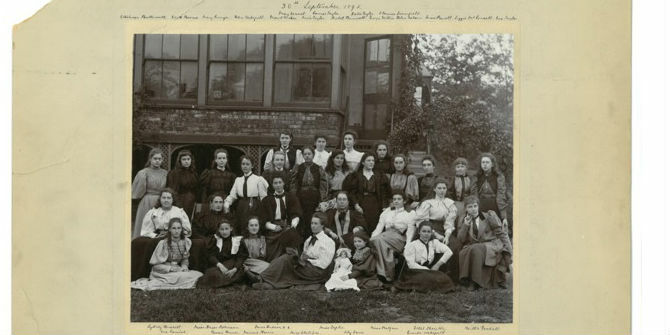 Professor Patricia Owens, director of a new Leverhulme project on the history of women’s international thought, highlights this neglected, early aspect of Lucy Mair’s academic life. 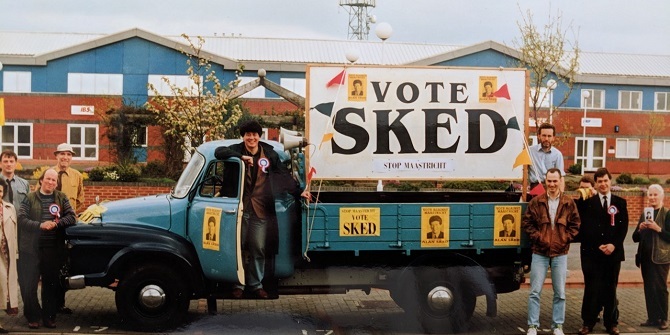 The early days of UKIP have its roots at LSE. Curator for Politics and International Relations Daniel Payne takes a look at the Library archives that document the development of euroscepticism in the UK. 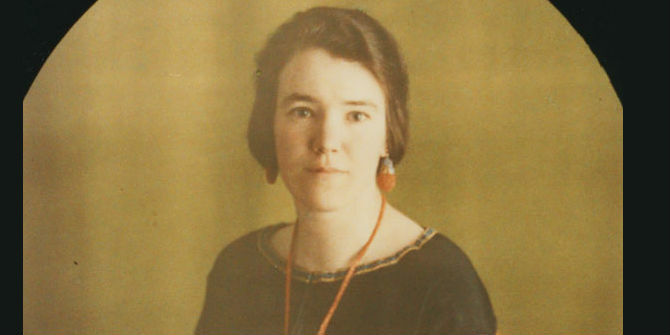 For 32 years Ragnhild Hatton was a member of the International History Department. 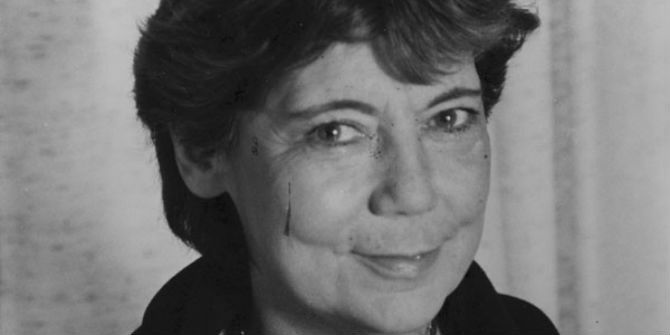 LSE Archivist, Sue Donnelly, investigates her career as a historian and teacher of the 17th and 18th centuries. 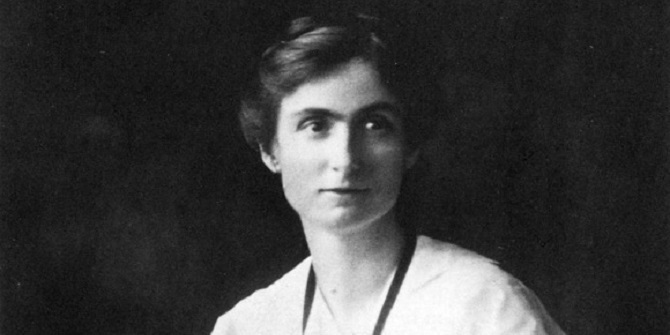 Edith Abbott, an economist, social worker and women’s equality campaigner, was the first American woman to be appointed the dean of a graduate school in the United States. 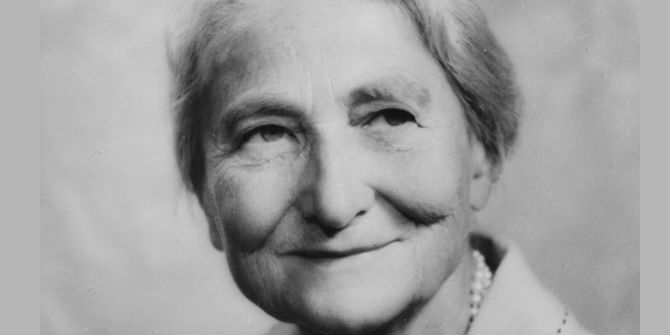 She had studied at LSE in the early 1900s and was influenced by Beatrice and Sidney Webb’s work in social reform. 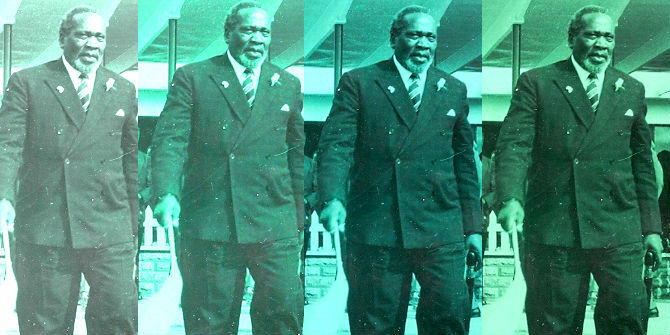 Victoria de Menil revisits the politics of Jomo Kenyatta’s supposedly de-political master’s thesis, later published as Facing Mount Kenya, particularly in relation to land and female circumcision. She asks who the intended audience was, and what legacy the book has left behind. 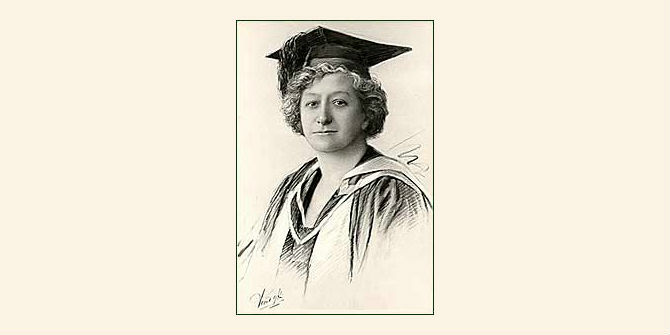 Somerset-born Alice Clark came from a family of pacifist shoe-makers who were involved in the suffrage movement. 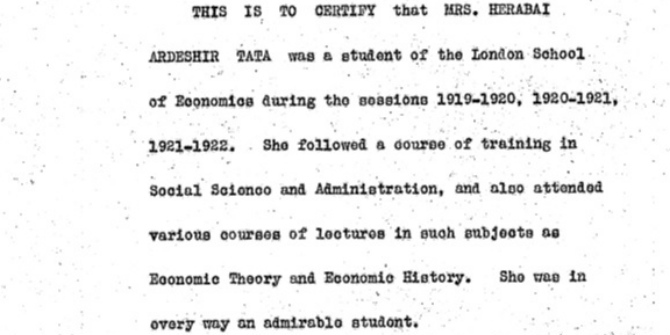 LSE curator Gillian Murphy finds that Alice Clark also held a Shaw Research Studentship in economic history at LSE. As you walk towards the Library turnstiles in the Lionel Robbins Building the bronze head of Lionel Robbins surveys the scene. 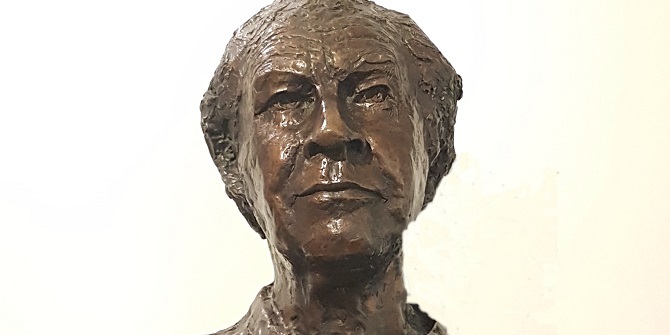 LSE Archivist, Sue Donnelly, writes about the portrait bust of Professor Lionel Robbins. 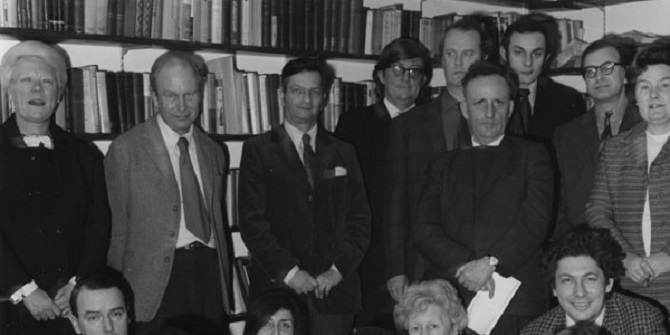 LSE Library holds the papers of the late Fred Halliday (1946-2010), former Professor of International Relations at LSE, writes Ben Martill. 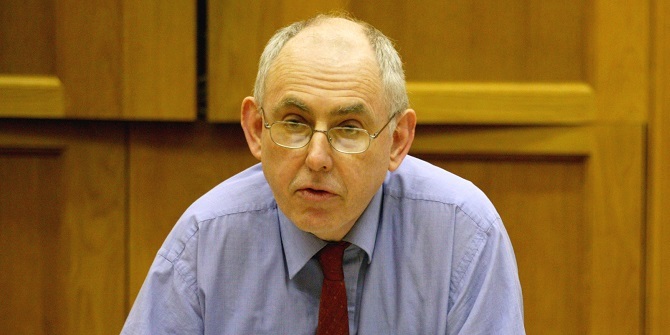 Fred Halliday had long ties to the School and a formidable reputation both in research and as a public intellectual. On Friday 16 March 2018 during the Singularity and Solidarity: Networks of Women at the LSE, 1895–1945 seminar, Rozemarijn van de Wal talked about her ongoing research into economic historian Eileen Power. 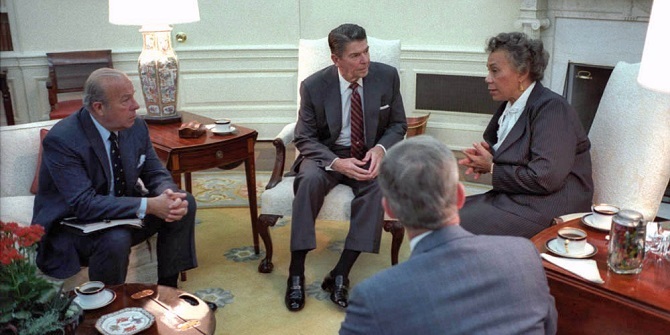 After having found some new materials in American archives, she shared some of her initial findings in researching Eileen Power’s relationship with the United States of America. As part of the Singularity and Solidarity: Networks of Women at the LSE, 1895–1945 seminar to mark Women’s History Month, LSE Archivist, Sue Donnelly, took a look at the first volume of the LSE Register, 1895-1932 to find out more about the women who taught and studied at LSE in its early years. 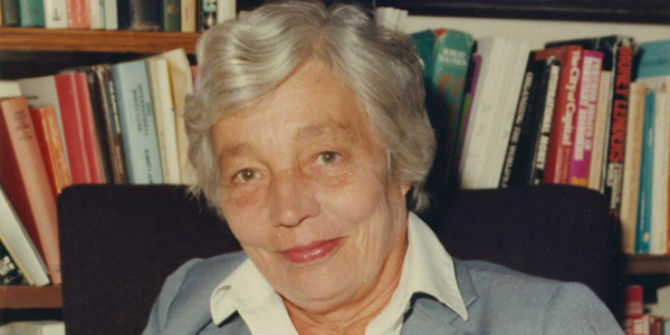 Historian Margaret Lambert gained a PhD in international relations at LSE in the 1930s and after the war spent much of her career as an editor-in-chief at the Foreign Office, specialising in contemporary German history. 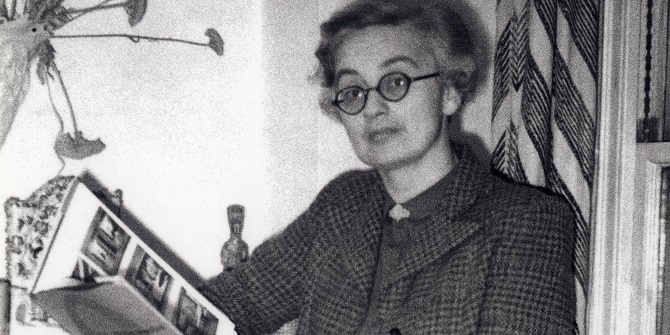 She also collected and wrote about English folk art with her partner, the designer Enid Marx. 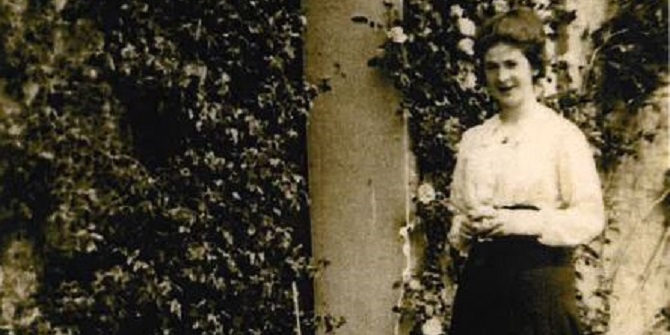 Dr Clare Taylor explores her fascinating life. 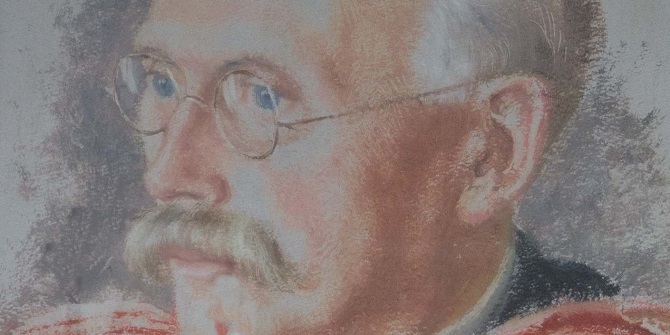 The Graham Wallas Room on the fifth floor of the Old Building is named in honour of perhaps the least known of the quartet of LSE Founders – the political psychologist, Graham Wallas (1858-1932). 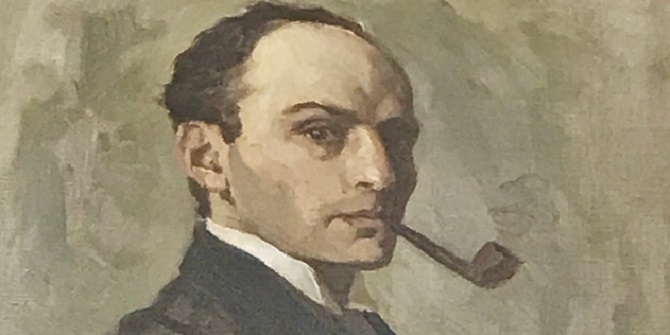 LSE Archivist, Sue Donnelly, writes about the man and his portrait recently installed in the Graham Wallas Room. 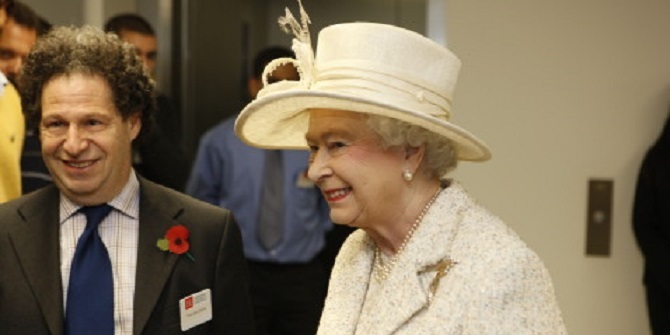 LSE is a world-leading pioneer of the social sciences. Subjects like international relations, social policy, sociology, social anthropology, social psychology and criminology all have their origins as subjects of university study in the innovative work carried out by LSE academics. Here are a selection of examples from LSE’s early years. 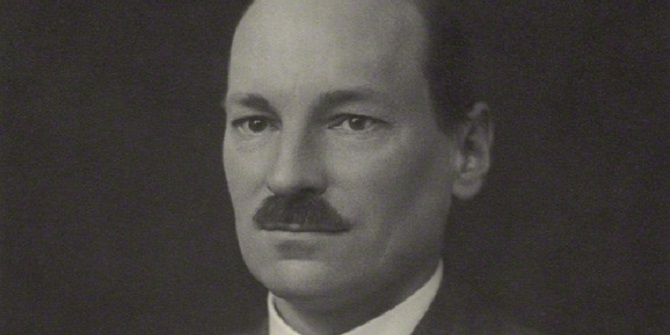 Mervyn King remembers James Edward Meade, one of the greatest British economists. 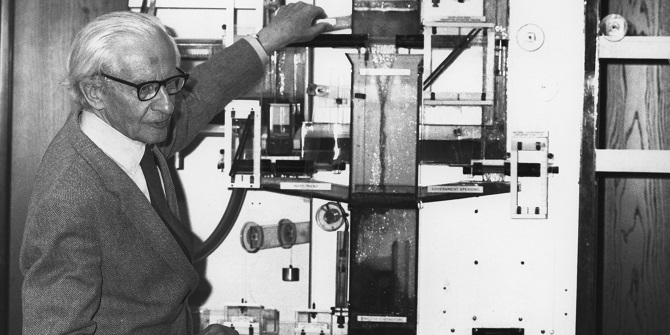 Meade taught at LSE and received the Nobel Memorial Prize in Economic Sciences in 1977. 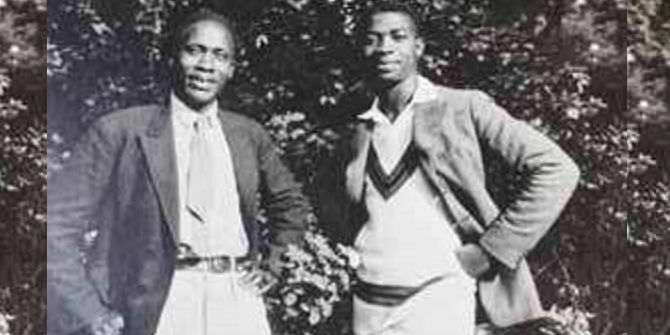 LSE’s Alex Free profiles Jomo Kenyatta – the first president of Kenya and an LSE graduate who came to London and studied social anthropology under Bronisław Malinowski in the 1930s. A leading pan-Africanist with an ultimately mixed political legacy in office, Kenyatta produced his famous ethnographic study of the Kikuyu, Facing Mount Kenya, while at LSE. 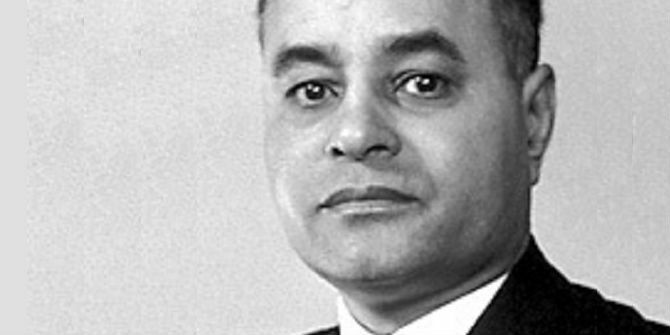 Sir Sydney Caine, LSE student and Director, oversaw a period of expansion and tension during the 1960s. 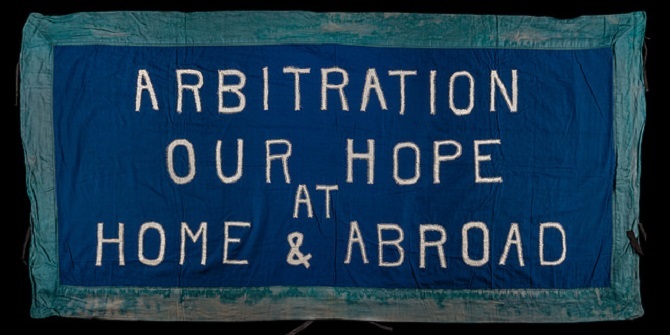 LSE Archivist Sue Donnelly investigates. The Department of Mathematics established its first History of Mathematics course in 2012. 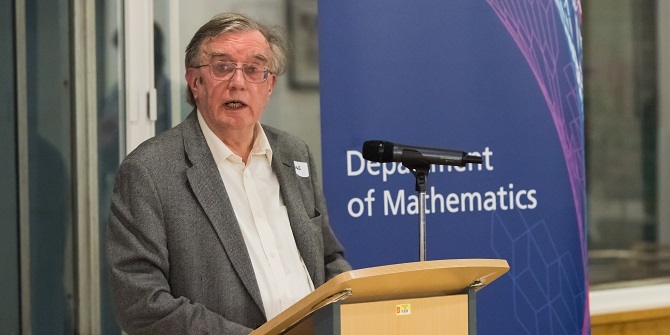 Five years later, Emeritus Professor of Mathematics Norman Biggs shares the story behind the founding of the course and the people involved in making it the success it is today. 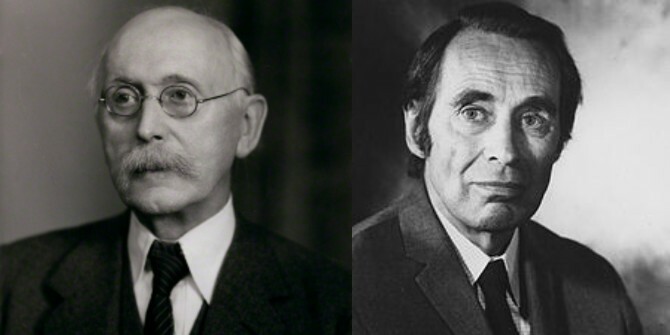 2017 saw the 90th anniversary of the establishment of a Chair in Social Anthropology at LSE. 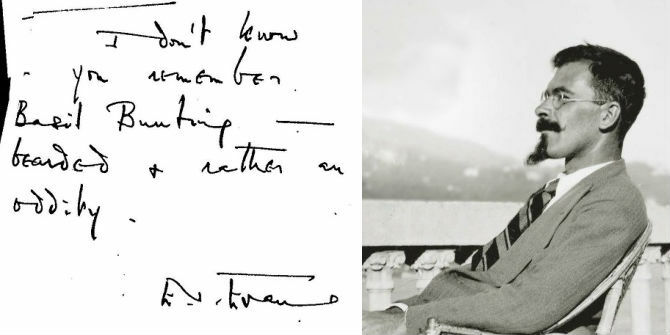 The Department of Anthropology’s Katharine Fletcher looks back at its first occupant, pioneering social anthropologist Bronislaw Malinowski. 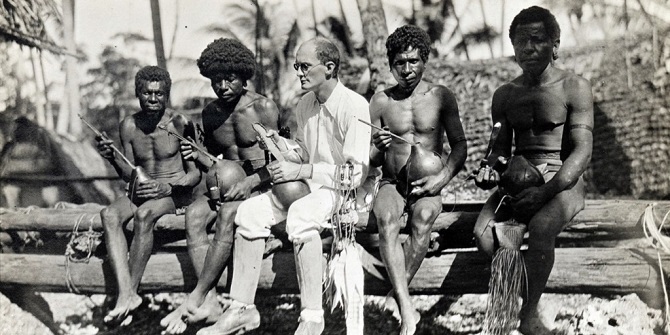 Malinowski was born in Poland and spent much of the First World War conducting fieldwork in the Trobriand Islands, bringing the findings of his work to LSE in the 1920s. 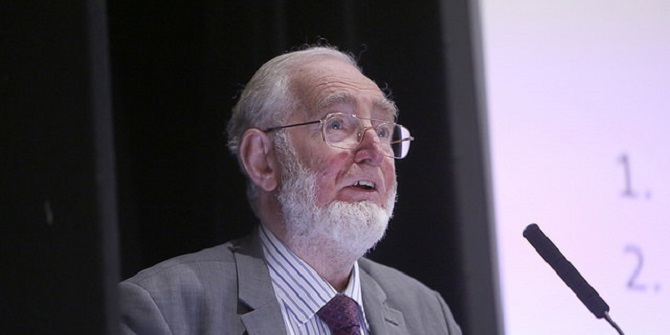 LSE professor James Meade was a Nobel Prize-winning economist whose work shaped twentieth century international trade policy. 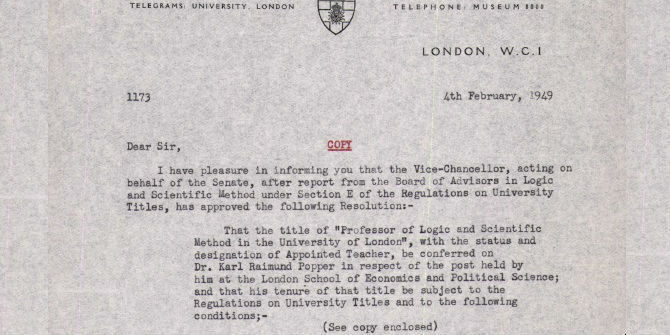 His archives are held by LSE Library and featured in the exhibition A Wealth of Ideas: economics and LSE. 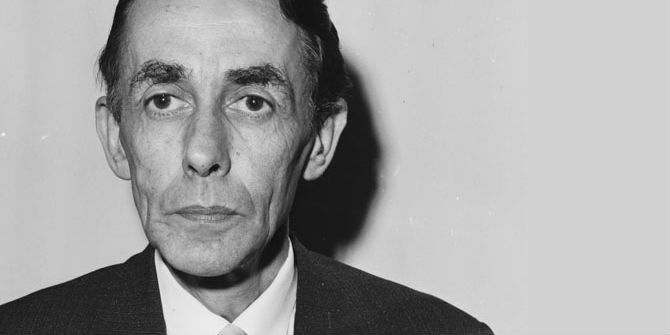 Inderbir Bhullar, Curator of Economics and Social Policy at LSE Library, discusses Meade’s work along with that of LSE stalwarts Lionel Robbins and Hugh Dalton. 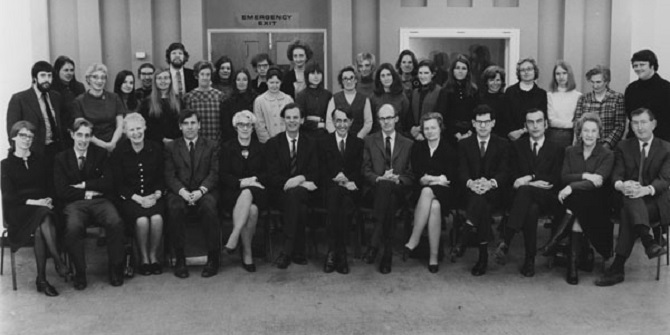 Founding head Professor Saul Estrin looks back the first ten years of the Department of Management at LSE. 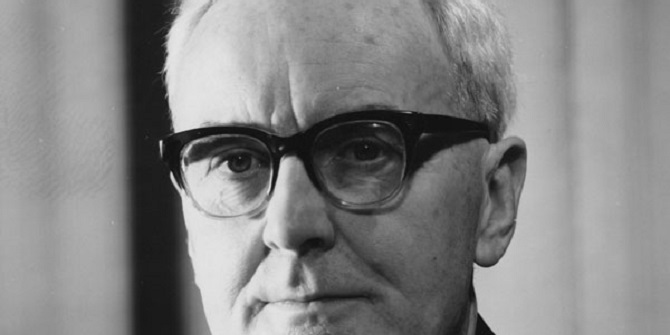 In 1947 William Thriepland Baxter became the first full time Professor of Accounting in Britain. 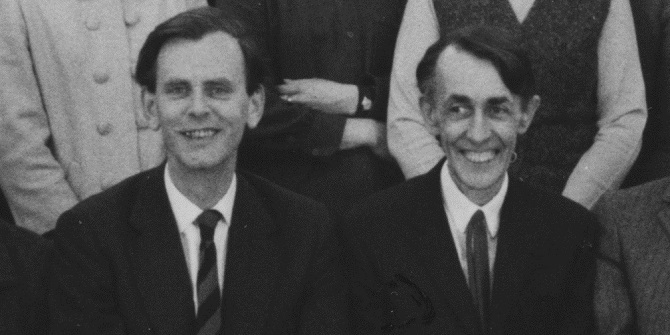 Michael Bromwich and Richard Macve consider themselves fortunate to have been his students, and later his colleagues, at LSE. 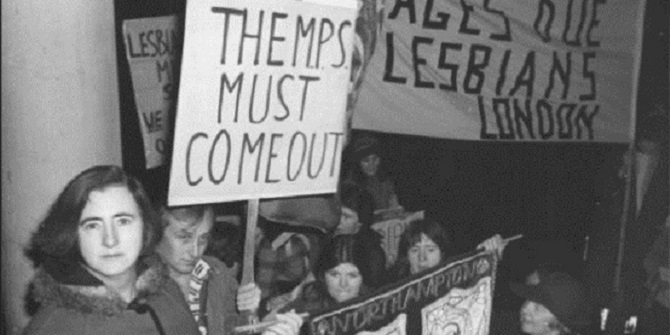 On 14 October 1970 the first UK meeting of the Gay Liberation Front was held in an LSE classroom. The room was booked by Bob Mellors, a second year Sociology student. The story is told by LSE Archivist Sue Donnelly. 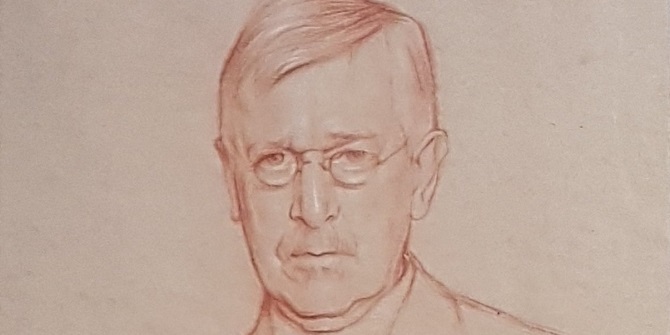 Stella Bowen’s portrait of Sir Arthur Bowley hangs in the Department of Statistics. 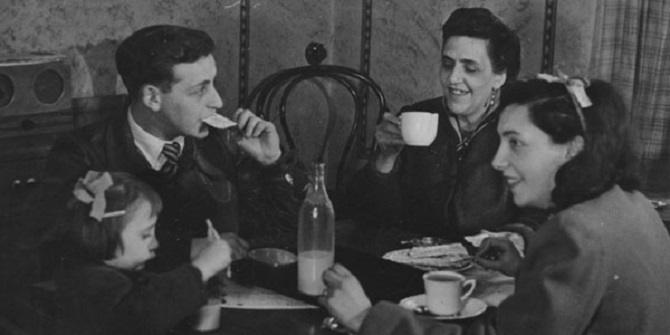 LSE Archivist Sue Donnelly tells the story behind the picture. 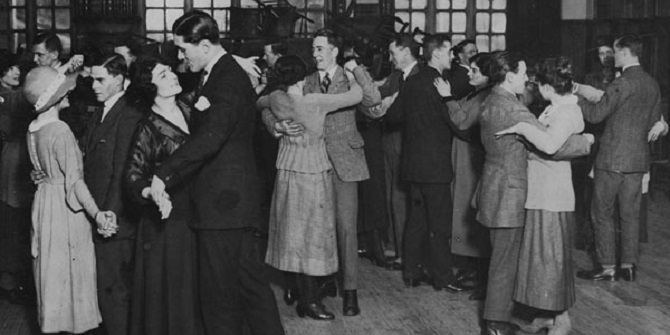 1935 marked the retirement of Sir Arthur Bowley, one of the School’s original teachers. On 28 November 1935 the Emergency Committee agreed to commission a portrait to mark his retirement, funded by public subscription. 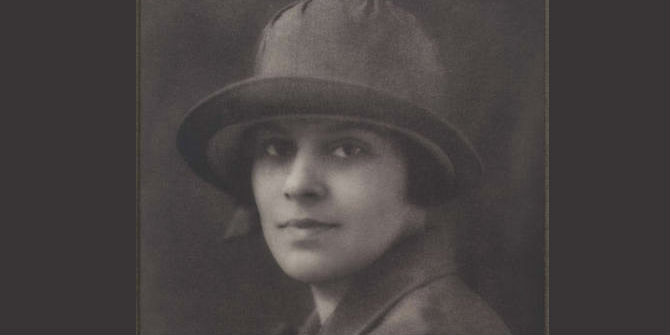 Following her review of Paul Robeson: the artist as revolutionary by Gerald Horne at the LSE Review of Books, Howard University’s Sherese R Taylor introduces the life of Eslanda Robeson, who studied at LSE in the 1930s. Lukas Cladders and Ursula Ferdinand share the story of world population specialist Robert René Kuczynski. He joined LSE in the 1930s after fleeing Nazi Germany, and became the first Reader in Demography in a British university in 1938. 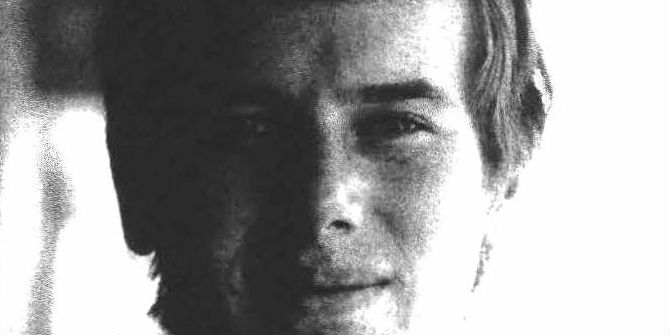 While the roll call of LSE alumni features notable journalists and novelists, one important literary figure associated with the School doesn’t feature, because he left without graduating, writes Dan Bennett. 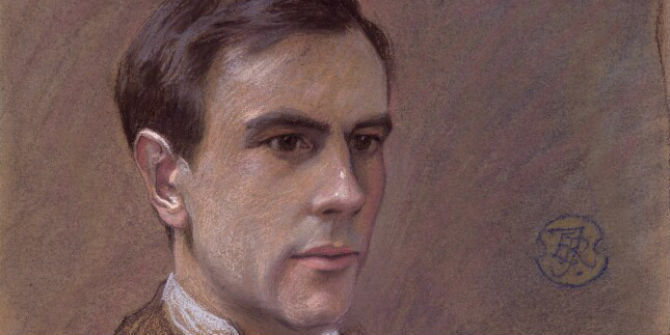 His name was Basil Bunting, and along with careers as a spy and sea captain, he was one of the key British poets of the twentieth century.